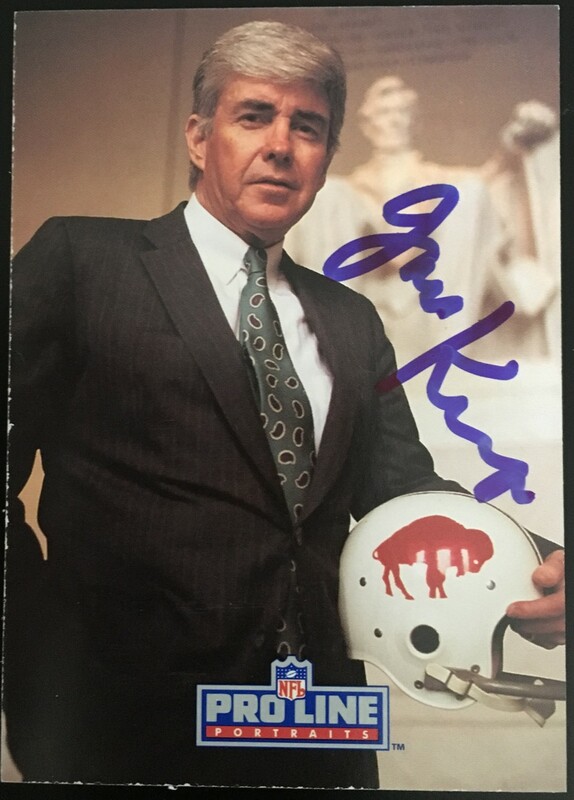 1991 Pro Line Portraits card autographed in blue marker on the front by the late former Buffalo Bills star quarterback Jack Kemp, who later was a Vice Presidential candidate and Secretary of Housing and Urban Development. Obtained in person. With certificate of authenticity from AutographsForSale.com. Card condition is about ExMt (edge chipping and corner wear). ONLY ONE AVAILABLE FOR SALE. PLEASE BE AWARE THAT THE 1991 PRO LINE PORTRAITS SO-CALLED CERTIFIED AUTOGRAPH CARD OF KEMP WAS AUTOPENNED (MACHINE SIGNED), NOT HAND SIGNED. Kemp was the Secretary of HUD in 1991 under George H.W. 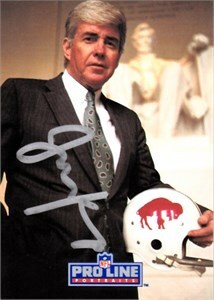 Bush and apparently didn't have time to hand sign his cards, and the NFL just embossed them anyway! The autographed card you will receive was hand-signed by Kemp, NOT autopenned.